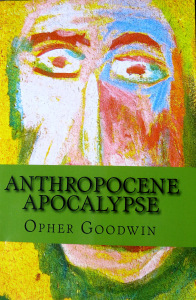 Featured Book – Anthropocene Apocalypse – why I wrote it. We certainly need to take care of nature. I have been fortunate enough to live a long life and travel the world. I have seen first hand the effect mankind has had on the planet and it greatly upsets me. In my lifetime the human population has more than doubled. It is set to double again within my life expectancy – in one lifetime it will have more than quadrupled. It does not take a mathematical genius to know that this is unsustainable. Common animals such as chimpanzees, tigers, elephants, rhinos, gorillas and butterflies are in danger of becoming extinct. Everywhere I went it was the same story – deforestation, pollution, destruction, overpopulation and the slaughter of wildlife. ← Flying Pigs and Unicorns.